It’s that time of year when the Mama’s and Papa’s of Wildlings are looking to find gifts that are meaningful, memorable and get their Wildlings outdoors where they belong. We’ve put together a list of gift voucher ideas for local Sunshine Coast experiences to help you make this a memorable Christmas without filling up our local landfill with plastic! Of course we’ve put ourselves first! 😉 Why not purchase your Wildling a voucher to come and build, create and play at one of our Wildlings Holiday Programs this Summer? From small worlds to raft building, nature sculptures and essential oil workshops – we’ve got something for everyone. Get your children outdoors, in nature this Summer! Not many of us have the time or the money to own our own horse so why not give your Wildling the gift of riding along the beautiful white sandy beaches on Noosa North Shore with Equathon instead? 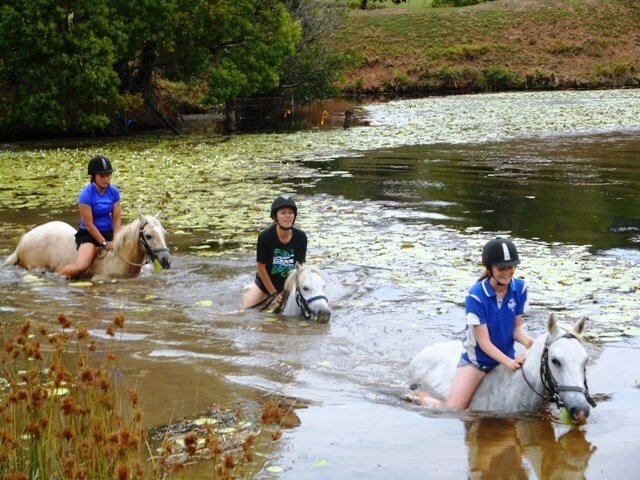 Or for fun without mum and dad try a Kiah Park horse riding camp. The Queensland Air Museum is the place to go for the history and aviation buff. The museum has over forty aircraft with various displays and other aviation memorabilia and is open daily 10am-4pm. Educational activities, opal cutting demonstrations, hunt for gemstones in the ‘Scratch Patch’ and learn about the world’s most fascinating gemstone, the opal. Opals Down Under is the place to satiate your Wilding’s thirst for treasure hunting and to inspire future Geologists! The Sunshine Coast is jammed packed with a huge array of events and festivals. What better way to spend your time than surrounded by food, wine, music and world class artists and athletes? For children we love buying tickets to Woodford Folk Festival (they have an amazing children’s festival inside the larger festival), but you can see the full run of events at Visit Sunshine Coast or Kids on the Coast. Not just a zoo, Australia Zoo also runs a Wildlife Hospital and encourages Wildlings to help conserve the environment with their Wildlife Warriors Program. We know zoos can be controversial, so if you don’t like the idea of visiting animals in a zoo, perhaps you could sign your Wildling up to help save the animals instead. Annual passes are a great money saver! SeaLife Mooloolaba is an all weather tourist attraction. Let your Wildling be enticed by over 5,500 sea creatures including sharks, stingrays, seals and otters as you explore eight unique zones including the world-famous 2.5 million litre Oceanarium tunnel. Again, annual passes are a great gift and this is a great place to go during a rainy week. Get your grom out on the waves with a voucher for Surf Lessons at Coolum Surf School, Noosa Surf Lessons, Caloundra Surf School, Maroochy Surf School or XL Surfing Academy. Does your Wildling like to whack things? Of course they do! Go and release some tension whilst hitting a bucket of balls together at one of our spectacular golf courses. Choose from Twin Waters Golf Club, Peregian Springs, Pelican Waters or Noosa Springs Golf Resort and Spa. An old Sunshine Coast favourite – especially with the Little Wildings. Why not catch Moreton the train or ride a boat around the world at the Ginger Factory? Treat yourself to a yummy ginger scone or a gingerbread man while you’re at it. Annual passes are well worth it for rainy weeks. Learn new skills, techniques and improve your Wildling’s riding through professional coaching sessions and programs delivered by HIT Bikes’ team of passionate mountain bike riders. All Hit Bikes coaches are PMBIA & MTBA coach certified, First Aid qualified, QLD government Blue Card holders (for working with children) and fully insured, so you can be confident that the coaching you receive is from the best possible. Tied to a rope of course! Send your Wildling’s adrenaline levels through the roof with an abseiling voucher at Worth Wild. OR EVEN BETTER, JUMP OUT OF A PLANE! This one is for the older Wildlings, the minimum age for tandem skydiving in Australia is 12 years of age. But what a way to see the Coast! You can book your skydive with Sunshine Coast Skydivers, Skydive or Sky Dive for Fun. 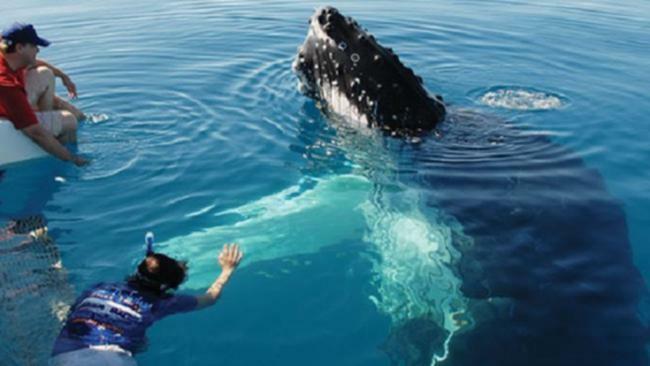 Yes that’s right, your little Wildling can swim with the whales from age 8 and up (as long as they are a competent swimmer and are accompanied by an adult). Learn all about these majestic creatures and how we can protect them in their own habitat on a Sunreef Whale Swim. Season generally runs from June-October. These guys also run PADI Diving and Snorkelling courses. On a paddleboard you’ve hired from Ocean Addicts, SUP Caloundra, Noosa SUP – just make sure you follow the whale watching guidelines to keep yourself and our whales safe! And make it a bit more fun than fishing from the shore by hiring a boat from Swan Boat Hire, O Boat Hire, or Hire Hut. From ballet to comedians, puppet shows to musicals, the Sunshine Coast offers a myriad of world class events. Book your Wildling tickets to a world class show at one of our local venues including The J Noosa, Nambour Civic Centre, Nambour Arthouse Cinema, Lake Kawana Community Centre and The Events Centre, Caloundra. You can find links to each venue and event information on the Sunshine Coast Council’s Events page. Another one for the adrenaline junkies! The Big Kart Track will have the rev-heads frothing in their boots! Make a date with your Wildling to learn to knee board, skurf, water ski or wakeboard at Go Wake Sunshine Coast or catch a Barra at Sunshine Coast Barra Fishing! Wear your Wildling out with a voucher to one our awesome Aqua Parks at Coolum Aqua Park, Bli Bli Aqua Park or Aqua Fun Park (Twin Waters). So, no excuses for plastic throw away toys this year! Get outside with your Wildlings and make some memories instead. Your Wildlings’ body, mind and soul with thank you for it – as will yours. Feel free to add any other suggestions you have for gift vouchers for local outdoor experiences below! ← Should YOU become a Forest School Leader? However, please note, we are often out in the field and unable to take calls. Please leave a message or send us an email with your query and we will get back to you ASAP.